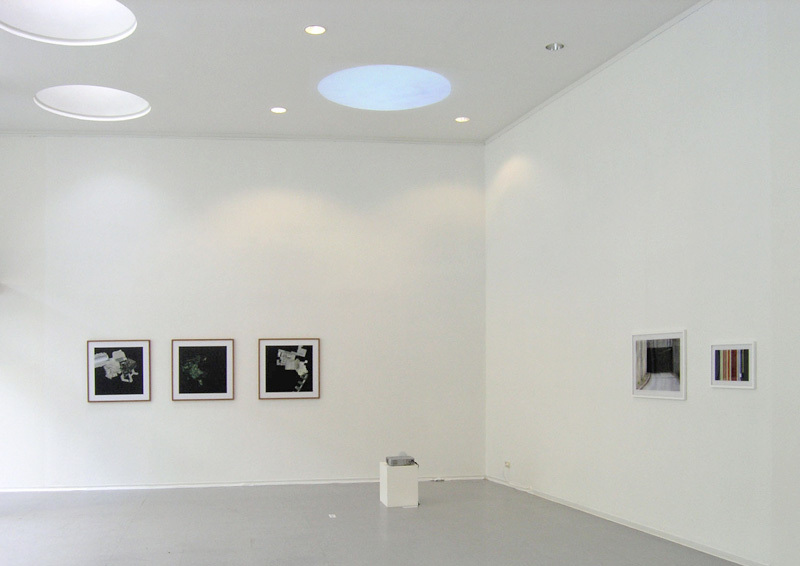 The video installation "heaven" was created for the exhibition "500 meter" at the "Forum for art & architecture" in Essen. "Heaven" is a round projection on the ceiling, which shows in real time the sky within a "500 meter" radius around the exhibition place. It seems to have a look through the ceiling of the building directly into the sky. The projection was shown continuously, while changing constantly depending on time, weather and other factors.